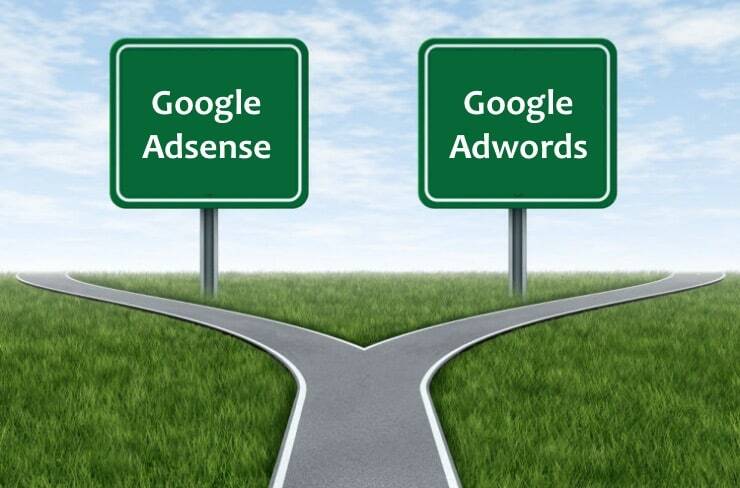 Adwords VS Adsense - What is the difference? Home / Adsense / Adwords VS Adsense – What is the difference and can I use both on the same website? Adwords VS Adsense – What is the difference and can I use both on the same website? The difference between Adwords and Adsense is that adwords allows you to advertise on the Google search results pages (and the network of partners) while Adsense is the platform to use as a publisher to display Google Ads on your website. Both platforms are developed and owned by Google and they have positively contributed to Google’s success. As a blogger or website owner there are many reasons why you should understand the difference between the two. For starters you should know what each platform is and under what circumstances you can use both Adwords and Adsense on the same website. What is Google Adwords (Google Ads)? Adwords is the platform you can use as an advertiser to show your ads on the Google Search Results Pages, partner websites or the Google Display network (websites that show Google Ads). One of the main characteristics of Adwords is that you only pay when someone clicks on your ad (Pay Per Click). When you create an account with Adwords, you can create your advertising campaigns, choose your ads and budget, decide where your want the ads to appear and Google will only charge you when someone clicks on the ads. Adwords has become very successful not only because it generates a big part of Google’s income but also because PPC does offer a lot of benefits to businesses too. In general, adwords is not difficult to use but if you don’t know how to use it correctly, you may end up losing a lot of money. In my PPC tips article you can learn how to avoid 7 common mistakes and make a better use of your budget. When you register with Adwords you can create several campaigns and ads (grouped into ad groups) and each adgroup can be targeted to a specific group of people. The system allows you to select for which keywords you want your ads to appear and also for which locations, times, days etc. It is a very flexible platform with a number of options to create campaigns that are aligned with your overall digital marketing strategy and business objectives. If I use Adwords, will my ad appear on the first position in Google Serps? No. This is the biggest misconception many people have about adwords. There is no guarantee that your ads will appear on the top positions of a page for a given query. 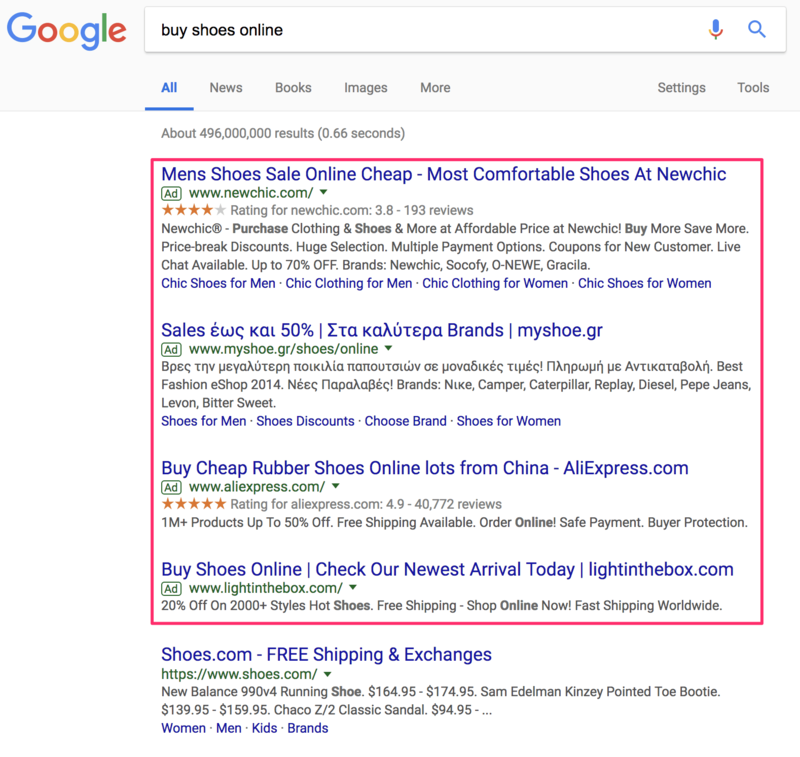 Adwords ads in general appear above the organic search results and below. Where exactly your ads will appear depends on many factors (competition, quality score of your ads, quality of landing page, bid amount and many many more) but this is something you can control and tweak through the adwords dashboard. An experienced Adwords Certified professional can help you optimize your campaigns and run profitable PPC campaigns. Do I pay a fee when my ads are shown? No. Adwords is a Pay Per Click (PPC) system which means that you only pay for clicks on your ads and not views. Can I use both text, responsive ads and rich media ads (video, images) in my campaigns? Yes, you can use rich media ads but these will be shown in the Google Display network (sites that participate as publishers in Adwords i.e. Adsense websites) and not in the Google SERPS. In Google search results only TEXT ads are shown. 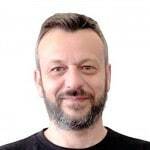 Can I use Adwords for Local marketing? Yes, you can use adwords to target users that are physically located in a particular area. For example if you have a barber shop in Boston, you can use Adwords to show your ads to people looking for a barber shop and are located within a radius of 30 miles from your business. Adsense is the platform you can use as a webmaster or blog owner (we call these a ‘publisher’) so that Google ads are shown in your website. When someone clicks on an ad that is shown on your website you will get paid a portion of what the Adwords advertiser pays. Let’s assume that a skateboard manufacturer uses Adwords to promote their products and they pay $2 to Google every time someone clicks on their ads. Let’s also assume that you have a website offering skateboarding tips and you also participate into the Adsense program i.e You allow Google ads to be displayed on your website. When someone clicks on an ad from your website you will get paid $1,36 (68%) and Google will keep the $0.64. The calculations above are only an example, there are many factors that play a role when both adwords and adsense decide how much each click is worth but what is certain is that for a click you (as a publisher) will get 68% and Google 32%. Adwords is for advertisers who want to promote their products on the Internet and Adsense is for website owners who want to make money from their content. Can I use Google Adsense and Google Adwords together? Can I use adwords to promote my website so that more people will visit and click on my adsense ads and make money? NO. This used to be the case in the past but not anymore. What some marketers did in the past was to run adwords ads to get traffic to a website and then aggressively place adsense ads on the page so that they get more clicks and make profit from the difference they paid for the adwords ads and what they received from Adsense. Adwords has now more strict policies on what you can advertise on their platform. The system is mainly for businesses that sell real products and services online and not for affiliate or MFA (Made For Adsense) type of websites. Adwords does not allow the landing page to have adsense. This means that while it’s ok to run adsense on your website and also use Adwords, the landing page (this is the first page visitors will see when they click an ad and enter your website), should not have adsense. This is a very important rule that should not be violated in any way because you risk in losing both your adwords and adsense accounts and then you will be looking for adsense alternatives. Adsense ads placement policies do not allow for aggressive placement of ads. It is recommended not to show more than 1 ad above the fold (that’s my recommendation and not the official adsense rules. You can read them here), and this will reduce the number of clicks your ads may receive thus reducing your earnings. Do I have to use the same account for Adwords and Adsense? That’s another difference between the two. You adwords and adsense account may use the same Google login but they are totally different and independent. For example you may end up losing your adwords account but still have access to adsense and the opposite. Both adsense and adwords are great tools you can use to make money and also promote your products and services online. Adsense is the best option to monetise your content rich website and adwords is one of the most efficient ways to advertise your businesses to a well defined targeted audience. Thank you. Very clearly explained. I am planning to enter into the world of blogging. My website will be more of information and articles rather than any products to sell. Can ad words be of my help? I mean can ad words attract traffic who is just looking for information…?? 1. 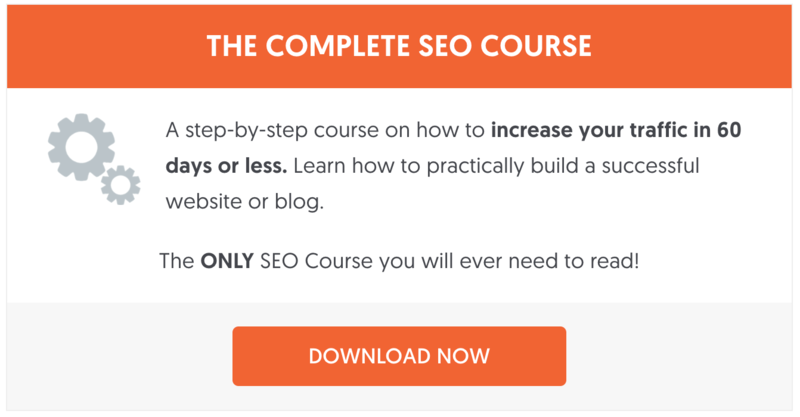 It will cost you to get traffic and if you dont’ have a way to monetize the traffic i.e. sale a product or service, then it won’t help you as you will be losing money. 2. If you are thinking into getting traffic from adwords and have adsense on the site so that visitors can click on the ads, forget about this since your landing pages (that’s the page the visitor will see when they click the adwords ad) should not have any adsense ads on it. Good luck with your online marketing efforts! Hi Alex, although your post on AdWords v AdSense is several months old, I greatly appreciate you time in covering the basics and making the distinction between the two Google ad products. Can you recommend a self-paced course to earn the varios certifications or designations in these Google programs? Thank you again! Thanks for your comment. The post is now updated to reflect the latest changes in Google Ads and Google Adsense. Try the official Google Adwords Help center https://support.google.com/google-ads/?hl=en#topic=7456157. It has all the information you need to get started. Thankyou so much!! You cleared my doubts:-) keep sharing! Awsome post. I’m new to online world as you said and was trying to find some good content that would help me monetise mu blog. Thank you so much! Thank you so much for this article. It certainly clarified the blurred lines for me. This was really a good piece of information. I am fresh to Adsense thus got an idea how it works. I personally dont see the point to spend when someone clicks rather than the opposite..? Am I just a little confused on this whole thing or does my concern make sense..? My client is just trying to get people to his site.. I urged him to get an SEO to be put on all the top major search engines…. If he has adsense on his website then it’s better not to use Google Adwords. SEO is the best way to go to get traffic to a website with Adsense ads. Hi Lucky, thank you as well for your comment.